As defined by Alvin Plantinga, theodicy is the "answer to the question of why God permits evil". Theodicy is defined as a theological construct that attempts to vindicate God in response to the evidential problem of evil that seems inconsistent with the existence of an omnipotent and omnibenevolent deity. Another definition of theodicy is the vindication of divine goodness and providence in view of the existence of evil. The word theodicy derives from the Greek words Θεός Τheos and δίκη dikē. Theos is translated "God" and dikē can be translated as either "trial" or "judgement". Thus, theodicy literally means "justifying God". Pseudo-Dionysus defines evil by those aspects that show an absence of good. :37 Writers in this tradition saw things as belonging to 'forms' and evil as an absence of being a good example of their form: as a deficit of goodness where goodness ought to have been present. In this same line of thinking, St. Augustine also defined evil as an absence of good, as did theologian and monk Thomas Aquinas who said: "... a man is called bad insofar as he lacks a virtue, and an eye is called bad insofar as it lacks the power of sight. ":37 Bad as an absence of good resurfaces in Hegel, Heidegger and Barth. Very similar are the Neoplatonists, such as Plotinus and contemporary philosopher Denis O'Brien, who say evil is a privation. Immanuel Kant was the first to offer a purely secular theory of evil, giving an evaluative definition of evil based on its cause as having a will that is not fully good. Kant has been an important influence on philosophers like Hanna Arendt, Claudia Card, and Richard Bernstein. "...Hanna Arendt... uses the term [radical evil] to denote a new form of wrongdoing which cannot be captured by other moral concepts." The Muslim also provides an evaluative definition of evil saying it is the result of the world not being fully Muslim. :34 Claudia Card says evil is excessive wrongdoing; others like Hillel Steiner say evil is qualitatively not quantitatively distinct from mere wrongdoing. Some theorists define evil by what emotions are connected to it. "For example, Laurence Thomas believes that evildoers take delight in causing harm or feel hatred toward their victims (Thomas 1993, 76–77)." Buddhism defines various types of evil, one type defines as behavior resulting from a failure to emotionally detach from the world. Philosophical Sufi theologians such as Ibn Arabi were influenced by the neoplatonic theodicy of Ibn Sina. 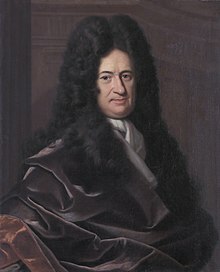 Al-Ghazali anticipated the optimistic theodicy of Leibniz in his dictum "There is nothing in possibility more wonderful than what is." Fakhr al-Din al-Razi, who represented the mainstream Sunni view, challenged Ibn Sina's analysis and argued that it merely sidesteps the real problem of evil, which is rooted in the human experience of suffering in a world that contains more pain than pleasure. The Hanbali scholar Ibn Taymiyya, whose writings became influential in Wahhabism, argued that, while God creates human acts, humans are responsible for their deeds as the agents of their acts. He held that divine creation is good from a casual standpoint, as God creates all things for wise purposes. Thus apparent evil is in actuality good in view of its purpose, and pure evil does not exist. This analysis was developed further with practical illustrations by Ibn al-Qayyim. As an alternative to a theodicy, a defense may be offered as a response to the problem of evil. A defense attempts to show that God's existence is not made logically impossible by the existence of evil; it does not need to be true or plausible, merely logically possible. [according to whom?] American philosopher Alvin Plantinga offers a free will defense which argues that human free will sufficiently explains the existence of evil while maintaining that God's existence remains logically possible. He argues that, if God's existence and the existence of evil are to be logically inconsistent, a premise must be provided which, if true, would make them inconsistent; as none has been provided, the existence of God and evil must be consistent. Free will furthers this argument by providing a premise which, in conjunction with the existence of evil, entails that God's existence remains consistent. Opponents have argued this defense is discredited by the existence of non-human related evil such as droughts, tsunamis and malaria. ^ Philip A. Pecorino, An Introduction to Philosophy: An Online Textbook (2000), Chapter 3: ‘Philosophy of Religion’, Section 11: Problem of Evil, online at http://www.qcc.cuny.edu/SocialSciences/ppecorino/INTRO_TEXT/Chapter%203%20Religion/Problem_of_Evil.htm. Retrieved September 26, 2015. ^ A defence is “an effort to show that there is no formal contradiction between the existence of God... and the existence of evil.” Michael Rea and Louis B. Pojman, eds., Philosophy of Religion: An Anthology (Cengage Learning, 2015, 7th ed. ), 229. ^ Richard Swedberg, Ola Agevall, The Max Weber Dictionary: Key Words and Central Concepts (Stanford University Press, 2005), 274. ^ Peter L. Berger, The Sacred Canopy: Elements of a Sociological Theory of Religion (Doubleday, 1st ed, 1967), 55. ^ Plantinga, Alvin (1974). God, Freedom, and Evil, William B. Eerdmans Publishing Company, p. 10. ^ http://www.thefreedictionary.com/theodicy and Anthony J. Tambasco, ed. (2002). The Bible on Suffering. New York: Paulist Press. p. 1. ISBN 0809140489. ^ "δίκη". A Greek–English Lexicon. ^ Encyclopædia Britannica Online, s. v. "theodicy", accessed October 20, 2013. ^ a b Trakakis, Nick (March 31, 2005). "The Evidential Problem of Evil". Internet Encyclopedia of Philosophy. Retrieved January 16, 2012. ^ Nieman, Susan. Evil in Modern Thought: An Alternative History of Philosophy. Princeton, New Jersey: Princeton University Press. ISBN 978-0-691-16850-0. ^ a b c d e Wright, N. T. (2006). Evil and the Justice of God. Downer's Grove, Illinois: Intervarsity Press. ISBN 978-0-8308-3415-0. ^ a b c d e f g h i Swinburne, Richard (1998). Providence and the Problem of Evil. Oxford, England: Oxford University Press. ISBN 0-19-823799-5. ^ O'Brien, D., 1996, “Plotinus on matter and evil,” in The Cambridge Companion to Plotinus, L.P. Gerson (ed. ), Cambridge: Cambridge University Press, pp. 171–195. ^ Plotinus, The Enneads, S. Mackenna (trans. ), London: Faber, 4th edition, revised by B.S. Page, 1969. ^ Kant, Immanuel (2003). Kant: Religion Within the Boundaries of Mere Reason: And Other Writings. Cambridge, England: Cambridge University Press. ISBN 0-521-59049-3. ^ Locke, John (1836). An Essay Concerning Human Understanding. Glasgow: B.Griffin and Co.
^ Hobbes, Thomas (2018). Leviathan. Minneapolis, Minnesota: Lerner Publishing Group. ISBN 978 151 248609 4. ^ Liebniz, Gottfried Wilhelm (2009). Theodicy. Cosimo books. ISBN 978-1-61640-295-2. ^ Thera, Nyanaponika (2008). The Roots of Good and Evil: Buddhist Texts translated from the Pali. ISBN 978-955-24-0316-3. ^ Leaman, Oliver (1995). Evil and Suffering in Jewish Philosophy. New York: Cambridge University Press. ISBN 0-521-41724-4. ^ Lennon, Thomas (7 February 2003). "Pierre Bayle". Stanford Encyclopedia of Philosophy. Retrieved January 22, 2012. ^ Kempf, Constantine (2012). "Theodicy". The Catholic Encyclopedia. Retrieved September 4, 2012. ^ Mitchell, Dr Philip Irving. "Theodicy: An Overview". Dallas Baptist University. Retrieved July 17, 2012. ^ The Old Testament. Modern Library Edition, Introduction, authored by George Steiner. ^ a b c d e f g Ko, Grace (2014). Theodicy in Habakkuk. United Kingdom: Paternoster. ^ Scott, Mark S. M. (2015). Pathways in Theodicy: An Introduction to the Problem of Evil. Fortress Press. ISBN 978-1-4514-6470-2. ^ a b Linafelt, Tod, ed. (2000). Strange Fire: Reading the Bible After the Holocaust. New York University Press. ISBN 0-8147-5165-2. ^ Pinnock, Sarah K. (2002). Beyond Theodicy: Jewish and Christian Continental Thinkers Respond to the Holocaust. New York: State University of New York Press. ISBN 0-7914-5523-8. ^ Blenkinsopp, Joseph (1990). Ezekiel. Louisville: John Knox Press. ISBN 0-8042-3118-4. ^ a b Redditt, Paul L (2003). Thematic Threads in the Book of the Twelve. New York: Walter De Gruyter. ISBN 3-11-017594-0. ^ John M. Frame and Joseph E. Torres, Apologetics: A Justification of Christian Belief (Phillipsburg, NJ: P&R Publishing, 2015), 184. ^ A Time For War? Christianity Today (2001-01-09). Retrieved on 2013-04-28. ^ Augustine of Hippo Archived 2012-07-28 at Archive.today. Crusades-encyclopedia.com. Retrieved on 2013-04-28. ^ Saint Augustine and the Theory of Just War. Jknirp.com (2007-01-23). Retrieved on 2013-04-28. ^ The Just War. Catholiceducation.org. Retrieved on 2013-04-28. ^ Gonzalez, Justo L. (1984). The Story of Christianity. San Francisco: Harper. ISBN 006185588X. ^ Scott, Mark (2012). Origen and the Problem of Evil, Oxford University Press. ^ Michael Martin, Atheism: A Philosophical Justification (Temple University Press, 1992), 436–54. ^ Ramblings of a Thomist, Blog of March 27, 2008 http://thomisticramblings.blogspot.com/2008/03/minor-theodicies-and.html. Accessed September 25, 2015. ^ Michael Martin, Atheism: A Philosophical Justification (Temple University Press, 1992), 444–45. Martin finds this theodicy in George Schlesinger, Religion and Scientific Method (Springer Science & Business Media, 2012) and judges it unsatisfactory. ^ a b c d e f g h i j k Ayman Shihadeh (2005). "Suffering". In Josef W. Meri (ed.). Medieval Islamic Civilization: An Encyclopedia. Routledge. p. 772. ^ a b c Roy Jackson. What is Islamic Philosophy?. Routledge. pp. 32–33. ^ Rubinstein, Richard L. The Cunning of History. ^ http://www.chighel.com/opening-statement-7a/ The original letter in Yiddish is found in R. Menachem Mendel Schneerson, Likutei Siḥot, Vol. 33 (New York: Kehot, 1962–2001), pp. 255–60. ^ Todd Billings, "Theodicy as a 'Lived Question': Moving Beyond a Theoretical Approach to Theodicy", http://www.luthersem.edu/ctrf/JCTR/Vol05/billings.htm Accessed September 25, 2013. About the author: http://www.westernsem.edu/about/faculty-staff/. ^ Nick Trakakis, “Theodicy: The Solution to the Problem of Evil, or Part of the Problem?”, Springerlink.com, accessed December 19, 2009. ^ Wendy Farley, Tragic Vision and Divine Compassion: a Contemporary Theodicy (Westminster John Knox Press, 1990) 12, 23. ^ Sarah Katherine Pinnock, Beyond Theodicy (SUNY Press, 2002), 135, 141. ^ Karl Barth, Church Dogmatics (T & T Clark, 1957), IV-1, 246. ^ Barth, Church Dogmatics, III-1, 368. ^ Barth, Church Dogmatics, II-2, 165. ^ Barth, Church Dogmatics, IV-1, 246. ^ Barth, Church Dogmatics, II-2, 223. ^ Barth, Church Dogmatics, IV-1, 564. ^ Ben Dupre, "The Problem of Evil", 50 Philosophy Ideas You Really Need to Know, London, Quercus, 2007, p. 166: "Denying that there is ultimately any such thing as evil, as advocated by Christian Scientists, solves the problem at a stroke, but such a remedy is too hard for most to swallow." ^ "Rolling Away the Stone: Mary Baker Eddy's Challenge to Materialism" (Indiana University Press, 2006) 83, 123, etc. ^ Reimers, Adrian J. "Human Suffering and Jon Paul II's Theology of the Body". ^ Stump, Eleonore (2010). Wandering in Darkness: Narrative and the Problem of Suffering. N.Y. New York: Oxford University Press. ISBN 978-0-19-927742-1. ^ Bart D. Ehrman (13 October 2009). God's Problem: How the Bible Fails to Answer Our Most Important Question – Why We Suffer. HarperCollins. p. 12. ISBN 978-0-06-174440-2. ^ Carsten Meiner, Kristin Veel, eds., The Cultural Life of Catastrophes and Crises (Walter de Gruyter, 2012), 243. ^ Oord, Thomas Jay (2015-12-06). The Uncontrolling Love of God: An Open and Relational Account of Providence. IVP Academic. ISBN 9780830840847. ^ Oord, Dr Thomas (2010-04-10). The Nature of Love: A Theology. Chalice Press. ^ "van den Brink", Gijsbert (1993). Almighty God: A Study on the Doctrine of Divine Omnipotence. Kampen, the Netherlands: Kok Pharos publishing House. pp. 263–73.